Other than glitters, I rarely use toppers. I'm not sure if it's the thought of having to use a base colour to reveal the magic, or that I'm seduced by my ready to go colour, but I usually forget I have them. I'm hoping that my newbies, and this mani, will help me remember. 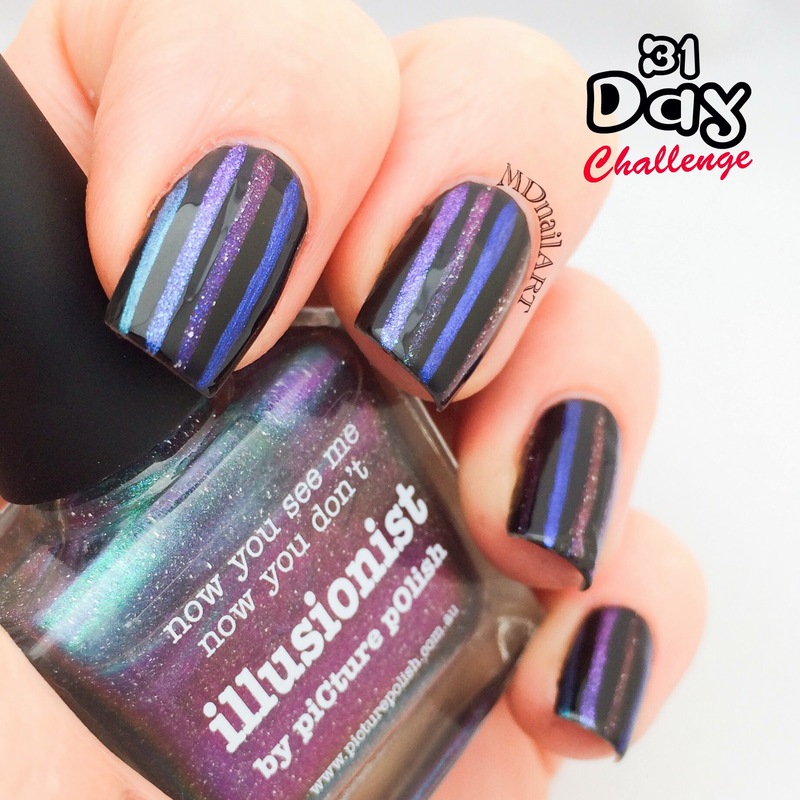 I can already see me using this polish again for the galaxies challenge on day 19....... Planning ahead already. For this challenge, I used each polish once, for every nail, over a base of Barry M Black. And of course, a striping brush. 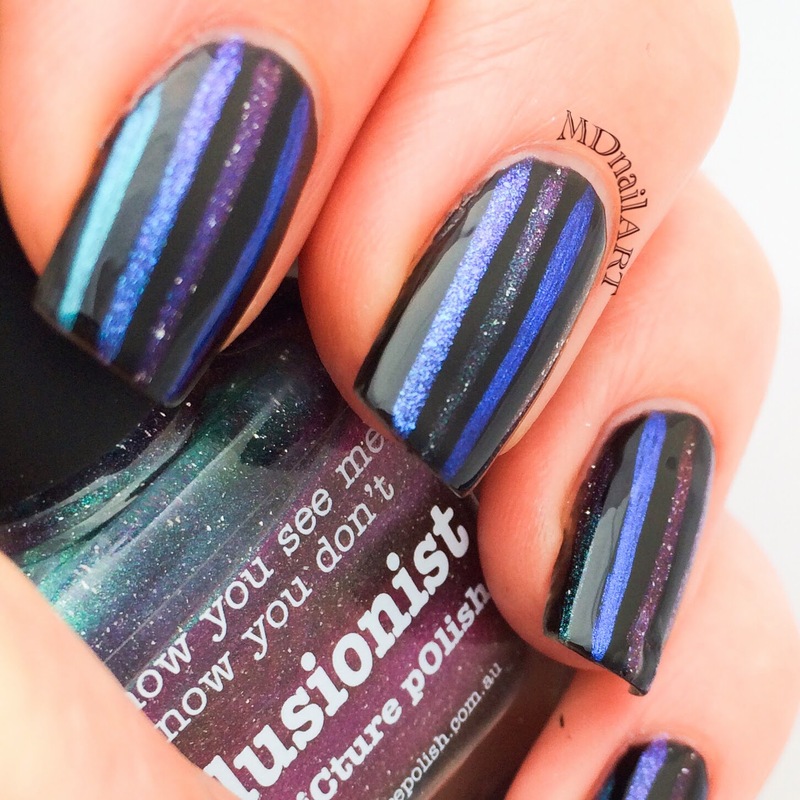 I am literally dying to try out illusionist properly so I can see it in all it's glory. You can see it is the stripe that is in line with the M on my watermark. Galaxy in a bottle. It was nice to see some of my toppers for black, sided by side. Hopefully now I'll remember to use them more. Remember to go check out more from the 31 Day Challenge.